Day 1 – Monday Feb 8 2010. Tokyo to Myoko Kogen. No pics or video just yet as I am still sorting them out, but I will add them in as soon as I can. Arrived in Tokyo on Sunday the 7th 2010. Flew with Tokyo with Jet* from Coolangatta and the plane was a few hours late to depart. However, this was not Jet*’s fault, it was just [auto-censor] down rain and most of the flights were delayed or cancelled. Once we arrived in Tokyo we caught the airport limousine (a bus – 3000 yen) to Tokyo station and then transferred to a train which took us to Ueno station. There seems to be a number of ways to get out of Narita, but I chose to go to the bus Tokyo station as it was convenient and I had used the service before to get to Haneda. We stayed at Sutton Place in Ueno and due to the plane delays we arrived much later than I had originally informed them, however the staff we very friendly on arrival (I think it was about 12.30am). Caught the 9.30am Shinkansen the following day to Nagano. My cousin had arrived in Tokyo a few days earlier, so she booked our tickets from Narita. I recommend this as I heard it can be a bit of a lottery getting into the non-reserved area, especially if it is during peak hour or it is a special occasion. Changed trains in Nagano for the train to Myoko and then arrived in Myoko sometime after midday. In Myoko I had organised us to stay at the Hotel Annex through Amy from the tourist office. Amy was VERY helpful (I highly recommend her services). I actually phoned her on the morning of our arrival to Myoko and she met us at the train station with 2 cars, one for the luggage and one to transport the troops. Again I really can’t recommend her services enough! The Annex hotel is located in Akakura and was primarily run by an older gentlemen by the name of Tukano (spelling? ), however there were a few others there and they all were helpful. Tukano’s English was pretty good and he was VERY helpful; he gave us a tour of the place and helped us over the week with buses, transfers to other resorts, ordering taxis, booking restaurants etc. The hotel itself is not brand new or flash, but the rooms are clean and comfortable (with private ensuites if you don’t want to use the onsens – however I always just used the onsens) and the prices were very reasonable. The only problem with the place is that each morning and evening they get the heater system going and I think they do this by running warm water through the pipes. Anyway as you can imagine, warm water through cold pipes creates a lot of clanking and creaking. In the evening it wasn’t a problem, but they get it going at about 6am, so if you like to sleep in you have to endure about 20min of that before it’s quiet again. On the questionnaire at the end of the week, our group suggested it might be a better idea to run it a little later in the morning. Myoko has 4 main areas; Akakura Kanko, Akakura Onsen, Suginohara and Ikenotaira. You can purchase separate tickets for each, a join ticket for the two Akakuras or an all mountain big 4 pass. The big 4 mountain pass seemed pointless to me as you wouldn’t bother changing resorts during the day, however as it turned out the big 4 pass was cheaper than a duel Akakura pass (go figure, Tuakano has no idea why either) so I ended up getting one later in the week. The first afternoon I just bought an Akakura Onsen pass and played around there getting my snow legs back. The place is really only good for beginners to lower intermediates, however Myoko has pretty much no ropes so there were some fun little tree areas to hit. Also, barely any of the locals seem to go off-piste, so there was still fresh stuff from the mega dump the few days before. After a few hours in the arvo there, I was keen to test out the other areas of Myoko during our stay. Akakura has a number of nice places to eat out and they were all a short walk (5 min) from our hotel which was handy. I can’t remember where we ate on the first night, but we had no bad meals in Myoko! I should add: If you want really big mountains and steep lines then Myoko (from what I can see) isn’t for you. Hakuba would be your place for that. 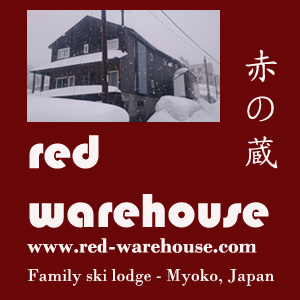 But if you are the kind of person that enjoys Niseko and want to try a Honshu resort, I can’t recommend Myoko enough. There are pretty much no ropes and you can ski and board wherever you like within the resort boundaries. The runs aren’t super steep so I am guessing this is why there is less of an avalanche risk, however there is plenty of easily accessed powder! Today my brother and I started the day thinking we were going to hit up Suginohara. The plan had originally been to go to Seki Onsen today, however after reading the pamphlet in the hotel it said the bus there only ran Tue, Wed and Thur. However, on the walk to the Suginohara bus, we stumbled across the Seki bus (there must have been a translation error on the pamphlet) and off we went. Has been snowing in the area light to moderately for the past couple of days and I am guessing that there has been 30/40cm or so of fresh stuff at Seki. Snow was pretty good quality, not as dry as Furano last year, but good enough! I always assumed there were 4 lifts at Seki, but as it turns out there really are only 2 main ones accessing the runs. Note that Seki basically has no grooming, it is all just fresh stuff, however there is a single groomed run that runs around the outside of the ski are and then pops back in at the bottom. When we arrived we were disappointed to see that the top lift was not running, which meant everyone was on the lower lift. Being a Saturday and with only the bottom lift running it meant that the obvious stuff got tracked out pretty quickly. However, around lunch time the top lift (a single chair) was opened and we got to smash through all the fresh stuff up top. For lunch we ate at the single restaurant on the mountain and had fun trying to converse with the lady behind the till. I'm pretty sure we were the only western people in all of Seki and barely anyone spoke much english... However I like it like this! Once the top was tracked out after lunch, we decided to check out the tree areas to skiers left of the bottom lift and managed to find fresh tracks for the remainder of the day, however the runs were pretty short. The interesting part of the day really happened when trying to get back to Akakura. In the morning on the bus we paid for a return ticket and the bus driver pointed out where he would pick us up at 4pm. We got to the bus stop at about 3.35pm, but by 4.20pm no bus had come. It was at the point we thought we were pretty farked as we only had our return ticket, no enough cash for a taxi back to Akakura and even if we did I had no idea how to call a taxi. In the end we walked back to the information desk near the bottom ski lift and luckily ran into a young bloke who I tried to explain our situation to. Top bloke in the end as he organised for my brother and I to get a lift back with some old dude in his car. Was pretty funny squeezing all our gear and the two of us into a small car with a male driver and three old women in the back...none of whom spoke english. Anyway to give the place a wrap up, it's a pretty small ski area but has more steeps than most of the main areas of Myoko. The powder is abundant, but if I was to go back it would be with a car, I would do it on a week day and I would probably organise a half day pass. Whatever you do, DON"T get the bus from Akakura, or if you do, have a back up plan! I've included a link below to a short video I took on my helmet cam. It's early on in the day and is a run from the top of the bottom lift so it's pretty mellow. I haven't edited it yet, and I apologise for the lack of sound, I haven't worked that feature out yet.